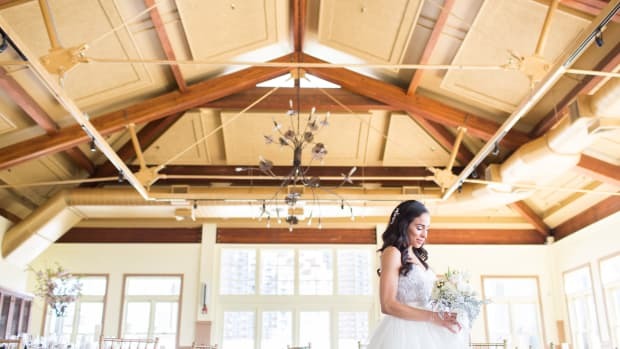 It&apos;s becoming more and more common for brides to forgo their heavy ball gowns during their reception by changing into a dance-friendly bridal frock. More flexibility to party all night and not worry about spilling wine on a $1,000-plus dress? Sounds reasonable to us! 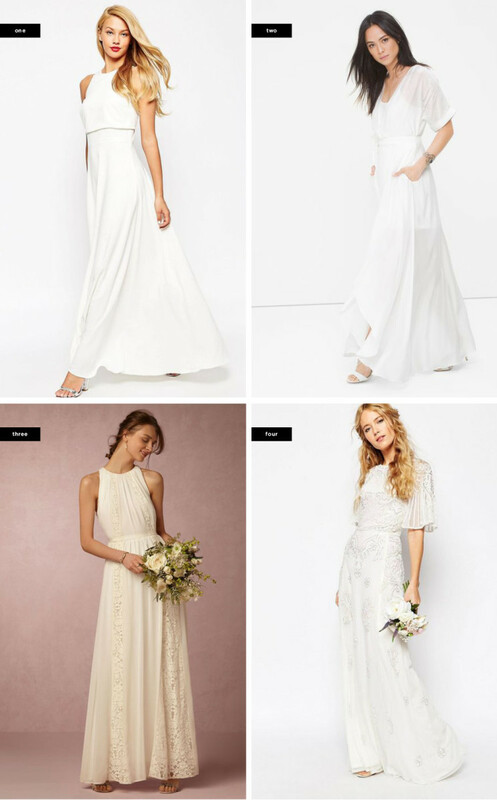 These little white reception dresses vary in style, length, and fabric to suit every bride who wants to surprise her guests with an outfit swap. If elegance is your goal, a figure-flattering pencil dress will certainly be a win-win. The sleek, regal fit of a pencil dress will accentuate your graceful shoulders and highlight your waist. 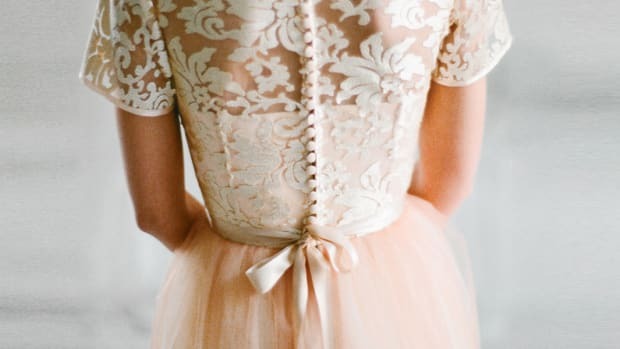 We can&apos;t help but swoon over these lace and sheer high-neck dresses. An added bonus: these are perfect for wearing again, on your honeymoon or for any future date night! Want the length without all the weight? Try a breezy maxi dress that billows when you sashay! 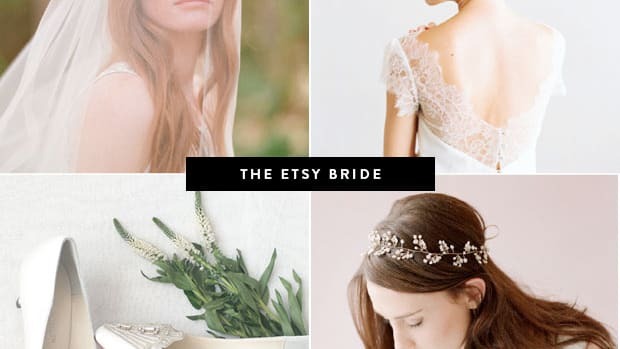 Depending on the style of your wedding or the look you want to achieve, we suggest experimenting with beading or lace designs. If you like a more classic look, stick to sleek silhouettes without any embellishments. 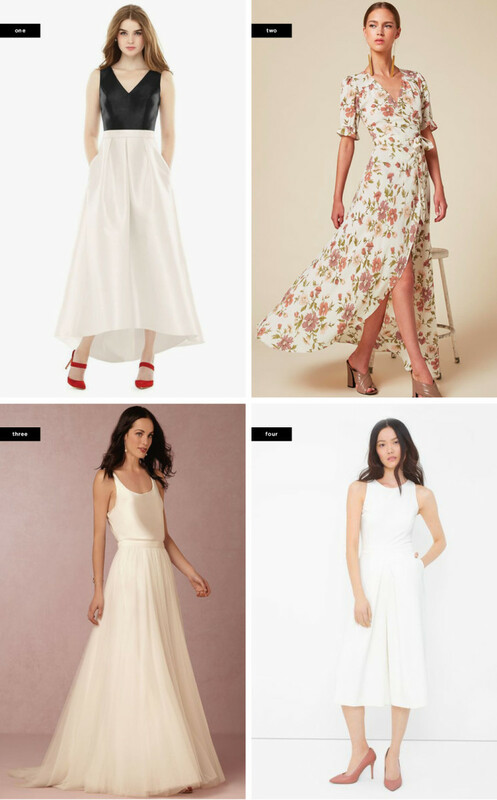 A classic fit-and-flare dress is ideal for the bride who plans on seriously getting her groove on. The a-line silhouette will mimic the style of your wedding dress while giving you optimal twirl opportunities. 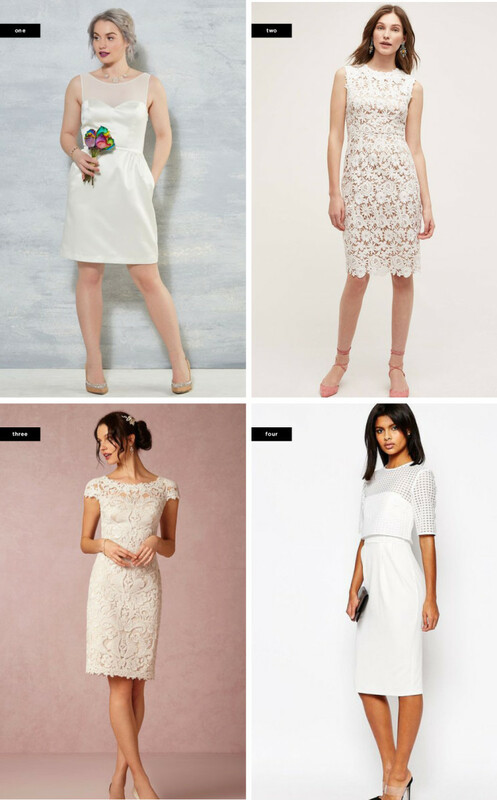 If you&apos;re a glamorous bride, try a voluminous 1950s-inspired dress or one with an exquisite high neck lace design. For the sundress lover, a simple, whimsical white fit-and-flare should do the trick! 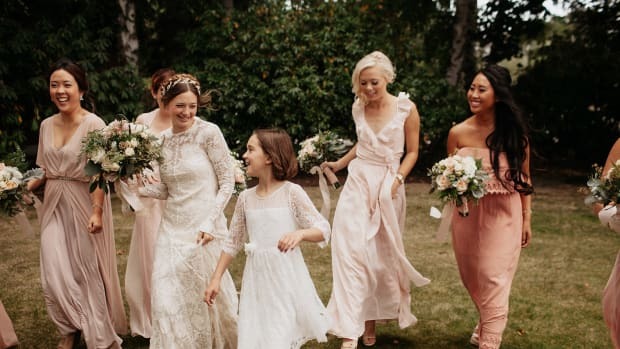 For the bride who likes to switch it up and take a fashion forward risk, these unconventional reception looks will be your cup of tea. Surprise your guests with a fun jumpsuit or a stunning floral wrap maxi dress. 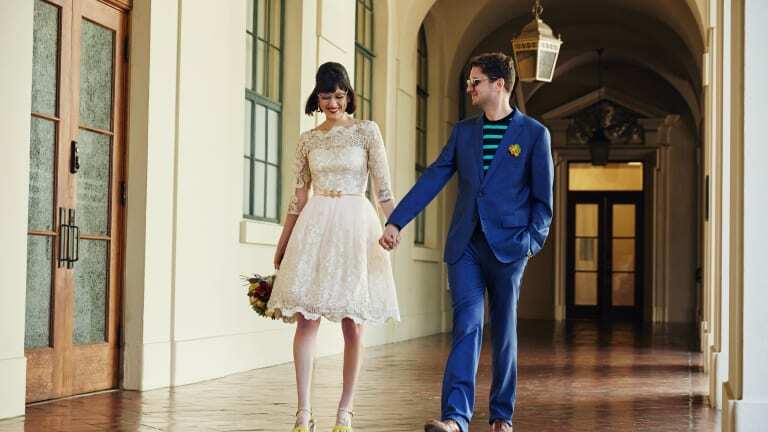 If you want mix traditional with modern, try a color blocked hi-low dress or bridal separates. No matter what to choose, you will certainly stun as you dance the night away! 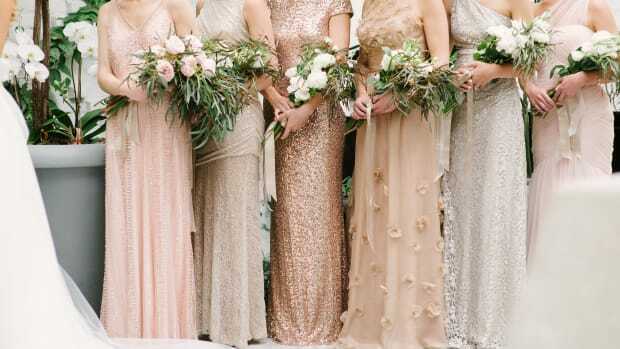 Take a style cue from these lovely weddings. 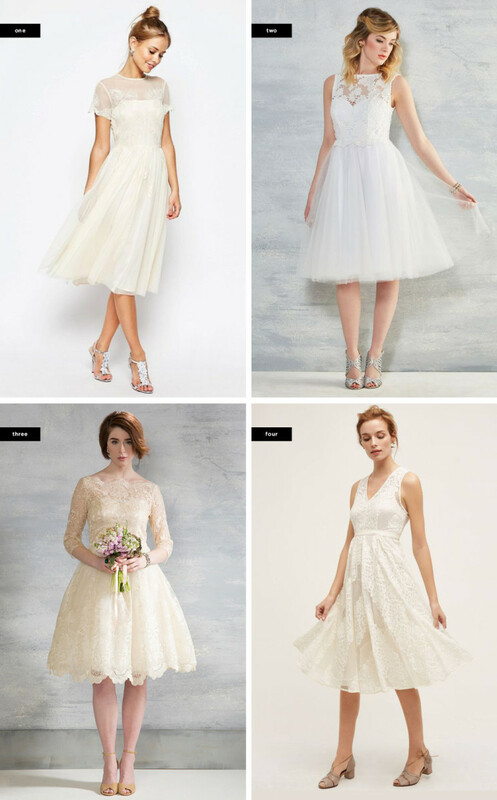 Bridal inspiration has never been so easy and fun. Celebrate your unique style without breaking the bank.